Tru-Escape in Schenectady, NY is located in Via|Port Rotterdam so finding the entrance is what you’d expect for a shopping mall location. If you want to limit your walking inside the building, then we recommend parking in the northern section of the mall. The storefront windows at Tru-Escape are engaging and the vast majority of customers are walk-ins who are drawn to the open entrance area and the inviting and professional staff. The pre-room lobby is bare with minimal seating, a host desk, exposed, high industrial ceilings, and a plainly decorated hallway between the rooms. This initial impression is not representative of the wonderfully appointed rooms, so don’t judge a book by its cover. 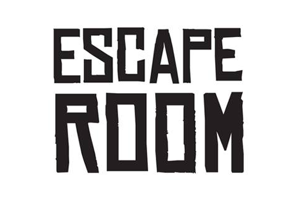 Those who are more interested in the room experience will be happy that Tru-Escape has focused its funds on the games themselves. Before we entered into The Office of Secret Agent 22 our host gave us a brief overview and then directed us to a TV monitor in the room for further instructions. The introduction video was a little cheesy, but we appreciated that it didn’t take itself too seriously. We’d have preferred to watch the video prior to entering the room (or with the room lights dimmed) so that we weren’t distracted by the layout of the room itself. When the game began we felt like we had just been transported out of the mall and had arrived in someone’s personal office. The separation of The Office of Secret Agent 22 from the preceding pre-room experience is perfectly executed. The office is decorated as you’d expect with a large desk, bookcase, file cabinet and laptop. The materials in the room were in good condition, though the furniture was fairly low quality and more weathered than we expected for a secret agent. There were some exposed extension cables which didn’t pose a danger, but could have been better concealed. There was a puzzle solution that was a little too quiet when triggered so some added sound might be necessary in that part. We greatly appreciated that the designer chose to take on the expense of adding a proper ceiling, a huge help for noise and atmosphere. Overall, the room quality was slightly above average. Nothing in the room blew us away and nothing took us out of the moment. This meant we could focus on solving the puzzles and having fun. The room design was good enough to support the presentation of a secret agent’s office and the rest of the game experience was equally as immersive. The puzzles led us down a path to achieving our objectives and most of the clues and solutions kept up with the theme. The props we uncovered to complete our tasks were what you’d expect to use in order to identify a spy—a mixture of digital and analog materials. The in-room communication screen felt out of place and the paper clues were laminated in clear plastic. 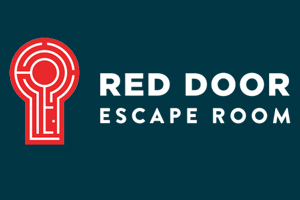 These are unfortunate detractors from the game immersion, but also understandable when you consider the real life expectations and costs of owning an escape room. The gameplay and goals became cloudy or unclear at times and we felt like we were being pulled away from the immersive experience. This became more evident when, after we escaped, our host also wasn’t sure about some of the final parts of the game. These minor callouts aside, The Office of Secret Agent 22 is clearly designed to keep you immersed in the story and we were pleased with the result. There was a range of easy, medium, and hard puzzles, and a mix of both collaborative and individual tasks. 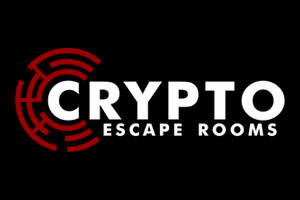 Each player in our group of four felt like they were helping with the game’s progress, but a larger group might feel a bit cramped in the small room and there could be some down time with puzzles that only require one or two people. We found leaps in logic in a couple of the puzzles and in one case we needed a lot of nudging and hints from the gamemaster before we could move on. Even then we felt that the solution was a bit too abstract and didn’t quite make sense with the progression of the room. Overall, we were happy with the puzzle design and we felt like there were plenty of different actions to satisfy our escape room craving. The Office of Secret Agent 22 is a good fit for novice escapers or beginners with an experienced veteran tagging along. A well-seasoned team won’t be overly stressed by the level of play, but they’ll still walk away having had a positive experience and a feeling of accomplishment. The room presents a very good balance of quality and immersion, physical and mental challenges, level of difficulty, and variety of puzzles. This is a well-rounded room and you’d be hard-pressed to leave unsatisfied. We all had fun time and we will certainly visit Tru-Escape again to try out their other rooms.